A concrete slab can be raised with underlying pressure and mass. Concrete Experts uses a high quality polyurethane formula that is pumped beneath the concrete to raise and level it. The polyurethane foam is lightweight and acts to repel water preventing future damage. 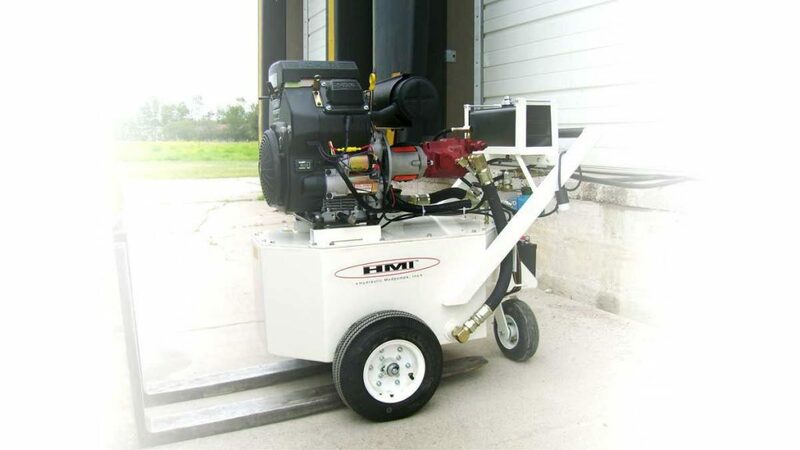 Concrete Experts are HMI trained and use only HMI certified products. 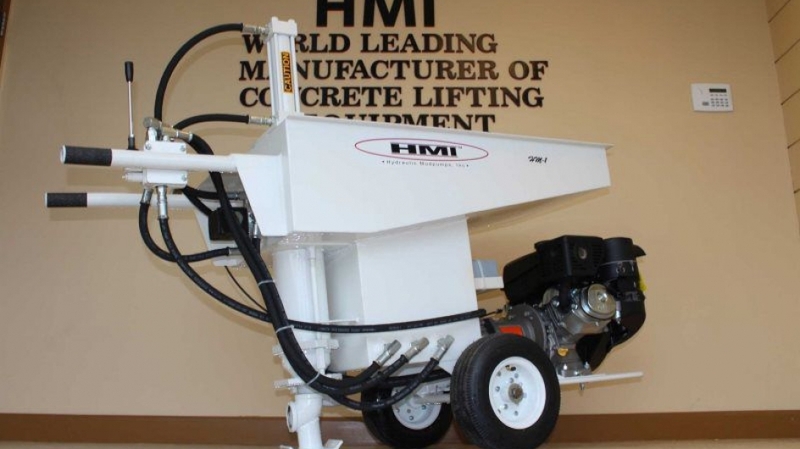 HMI is the leader in concrete lifting equipment and materials setting the industry standard for over 40 years! We come to your house and identify where the pressure needs to be, in order to have the slab lifted. We map out where the small half inch holes need to be drilled (approximately every 5 feet) in order to pump the foam beneath the surface. We have a 160 foot hose so that we can lift concrete even in remote areas if needed. The polyurethane is pumped into the injection sites and the cement will slowly rise. We continue pumping into each hole until the concrete slab reaches the desired height. Once the desired height is achieved, the injection holes are filled with a cement mixture and sealed. There is a possible risk in rare circumstances that the cement will crack. In these cases we can still level the cement slab, but the crack remains. The polyurethane sets almost instantly, and the cement is safe to walk on immediately after. There is no mess or waste to throw away. 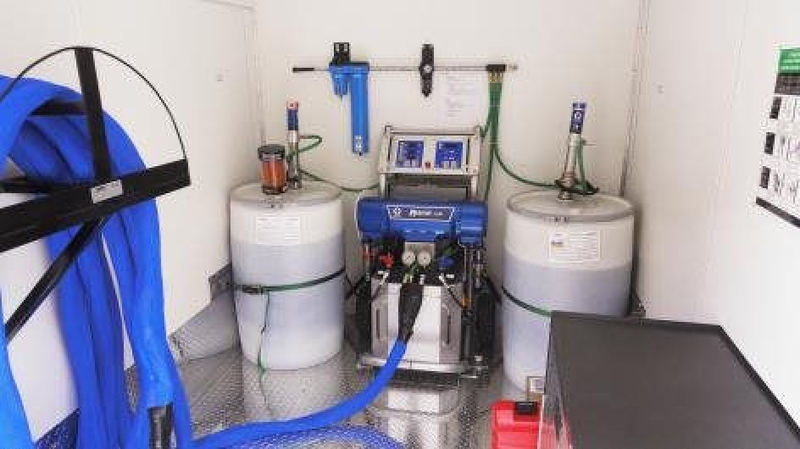 It is a clean and environmentally safe repair. The traditional technology in raising concrete is called mudjacking. This process consists of pumping a cement and mud mixture into much larger and closer together injection holes. The mixture that is injected weighs 50 times what the polyurethane weighs. The problem this creates is that the weight of the cement causes the same problem that it was designed to fix. Due to the weight, it has a tendency to further compact the ground beneath allowing the concrete slab to sink again. Polyurethane provides an effective, long term solution to raising and leveling sunken concrete.